Now he reunites with former co-star Kim Ha-neul as a danger-courting spy in Civil Servant Level 7, after previously playing cousins and lovers (yeah, I know) in the tearjerker melodrama 90 Days’ Time to Love. Apparently Kang took the role almost immediately after receiving the screenplay. Known for being a perfectionist with his detailed, prepared character work, he now takes on double-duty in Civil Servant, ’cause he’s got two identities to juggle as a boring accountant who also happens to speak fluent Russian and act as a top-secret spy. Like Bond and Jason Bourne before him, he often handles missions alone (though he does work with Korea’s secret agent team); this mission concerns a biochemical weapon and Russian criminal organizations. The movie, billed as an action romantic comedy, plans to start filming after its supporting cast is selected (likely mid-October). 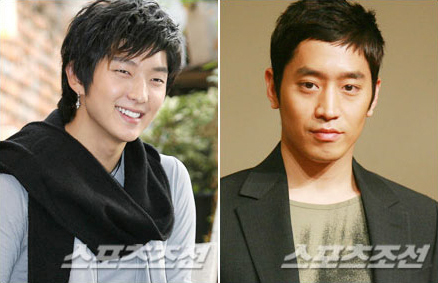 Lee Jun Ki vs Eric: Who will be the Ancient King summer 2008? After a long period of time, MBC seems to be dominating the ancient genre with several huge dramas, such as Joo Mong, Legend, and Lee San. Summer 2008, viewers will be watching the competition between drama Iljimae (SBS) and Choi Kang Chil Woo (KBS2). Let’s take a look at Iljimae of SBS first. This drama will be aired in May, after the completion of On Air. Because it’s the second ancient drama that Lee Jun Ki will perform, he doesn’t have much pressure on him. Lee Jun Ki said that first thing that attracted him from this drama was the special image of main character who hides all his face but only his eyes. Moreover, Jun Ki felt that the drama is very meaningful because throughout the protest against feudal regime and class discrimination, the drama satirizes modern society’s bad side. Thus, he respects the drama and will try his best. Lee Jun Ki’s determination and hard-work ethics are admired by many people at the filming site. Many dangerous scenes such as dropped into the water by the enemy or flying back and forth, he did them all by himself without the help of a stunt man. Next, drama Choi Kang Chil Woo will be aired starting from June 9. This is the first ancient drama of Eric. It is said that appearing as an ancient character puts a great deal of pressure on Eric. However, Eric is fascinated by the character he plays as a normal citizen during daytime but a skilful assassin when the night comes. After thinking thoroughly, Eric decided to take place in this drama before carrying out his military duty. The first half of 2008, Korean small screen is dominated by ancient drama Lee San of MBC. Therefore, the appearance of Iljimae and Choi Kang Chil Woo bring more opportunities for SBS and KBS to prosper in ancient genre this summer. Currently, drama On Air has quite high ratings. As a drama aired right after that, Iljimae will benefit a lot. Although Iljimae will be showing against Spotlight (MBC) with two stars Ji Jin Hee and Son Ye Jin, it’s believed that Iljimae has more advantage because of Lee Jun Ki’s appearance and its interesting plot. About Choi Kang Chil Woo, it is the hope of KBS in mini-series drama to raise the ratings of shows aired on Monday and Tuesday nights. Thus, KBS will invest greatly in Choi Kang Chil Woo in order to create a good drama and take back its lost position in mini-series drama on Mon-Tue. The news of two handsome and popular actors in two different ancient dramas rise curiosity in viewers and make them want to see how the two actors will perform. >>>Looks like there will be a tight battle of ratings for Junki & Eric’s historical drama… I’m anticipating both… can’t believe i’m so much into historical dramas lately because of the actors in it… hahaha it all started with Kang Ji Hwan’s Hong Gil Dong then Bae Yong Jun’s Legend, both are great and amazing historical dramas but i don’t like their ending. Hong Gil Dong ended with many regrets. Ancient drama Hong Gil Dong of KBS has ended in the night of March 26 since it was airing for almost 3 months. Hong Gil Dong is the newest work of popular scriptwriters Hong sisters that are Hong Mi Ran and Hong Jung Eun. Therefore, it became the most expectation drama of audience in the first quarter of 2008. However, it ended with many regrets. Since it was airing, Hong Gil Dong had to compete with drama New Heart of MBC, and the ratings always at the rate of 13-14%. However, Hong Gil Dong still had attention of young audience. After New Heart was ended, new drama On Air of SBS became the lead and came over Hong Gil Dong. According to statistical numbers of TNS, ratings of last episode on March 26 of Hong Gil Dong only reached 13,8% which was far away from On Air’s (20,1%). Moreover, Hong Gil Dong began with funny and joyful ideas but ended in tragedy with many surprises that made audience disappointed. In the evening of March 26, KBS2 channel will broadcast the last episode of ancient drama Hong Gil Dong. 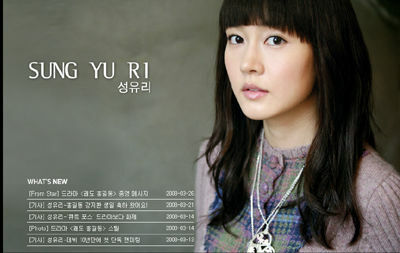 Main actress Sung Yu Ri has expressed her feelings on the official site. She thanks to audience for supporting this drama and hopes that they won’t forget character Yi Nok played by her. On March 20, actor Kang Ji Hwan hosted a party to celebrates his 31st birthday. Approximately 200 fans from Japan, China, Taiwan…etc, have attended the birthday celebration, which was held at 8pm, at Konguk University. 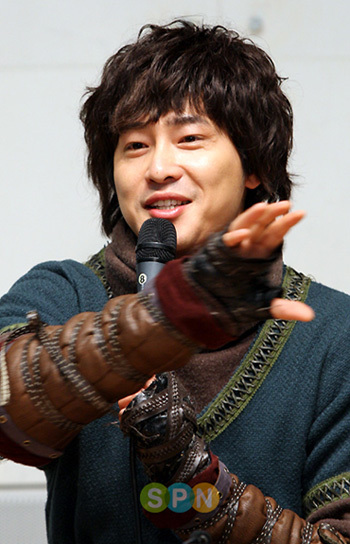 Although he was busy with the final scenes in the ancient drama Hong Gil Dong, but because of the Japanese audiences’ enthusiasm, Kang Ji Hwan has decided to host this birthday party. Kang Ji Hwan’s manager revealed, “The audiences of some country in Asia, especially Japan, really paid close attentions to the drama Hong Gil Dong and the main actor Kang Ji Hwan. Not only the fans themselves, but also many of the foreign reporters were present in the celebration to interview Kang Ji Hwan”. In addition, the main actress Sung Yu Ri, the “Hwal Bin Dang”’s members such as Park Sang Wook and Cha Hyun Jung also attended the celebration to cheer for their “leader” Kang Ji Hwan. During the birthday celebration, when Kang Ji Hwan was asked, “Which birthday present would you want the most?”, he answered, “It would be great if I have a girlfriend”. His answer really surprised all the attendees. Kang Ji Hwan said, “On March 19, after finishing the action scene with Sung Yu Ri and some other casting members offsite, Sung Yu Ri presented me with a birthday cake, and we all had a simple party. Having the opportunity to live and work with them make me feel very proud”. Kang Ji Hwan revealed, “Actually, half a month ago was also Sung Yu Ri’s birthday. We have promised to exchange present with each other. Sung Yu Ri’s present is a puppy. Because of the very tight filming schedule I still haven’t had a chance to get her gift yet. It will have to be until after the drama has ended, before I could give her the present”. After the party was over, Kang Ji Hwan and his viewers watched Hong Gil Dong’s episode 23 together. He said, “I am really happy that I could watch Hong Gil Dong with the audiences, the drama which has made me worked really hard over the past six months. I will try my best to do a great job on the final episode. Hopefully, it will be a source of joy for you”.